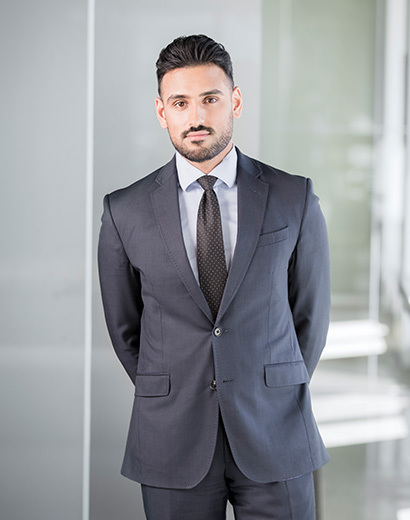 Raj joined our team as an articling student in 2016 before becoming an associate in 2017. A skilled litigator, he protects the interests of his clients in the areas of construction, general insurance and commercial matters. His sound strategies and ability to build genuine relationships with his clients allow him to get the best results in and out of the courtroom. Raj is passionate about supporting and contributing to the legal community. Before law school, he interned with the BC Civil Liberties Association, working on several important policy initiatives. He also worked with the Elizabeth Fry Society of Greater Vancouver as a volunteer court clerk. While studying law, he served as a Pro Bono Coordinator at the Free Legal Advice Group. In his free time, you’ll find Raj riding his bike in downtown Vancouver, hitting the basketball courts and trying the city’s newest restaurants.